The Holland BPW snowmelt system takes waste heat from power generation and captures it to heat water, which circulates through 190 miles of tubing laying underneath the town. Pumping 4,700 gallons of water per minute at 95ºF, the system melts an inch of snow per hour. The system continues to expand, now covering over 5 miles of sidewalk and roadway. 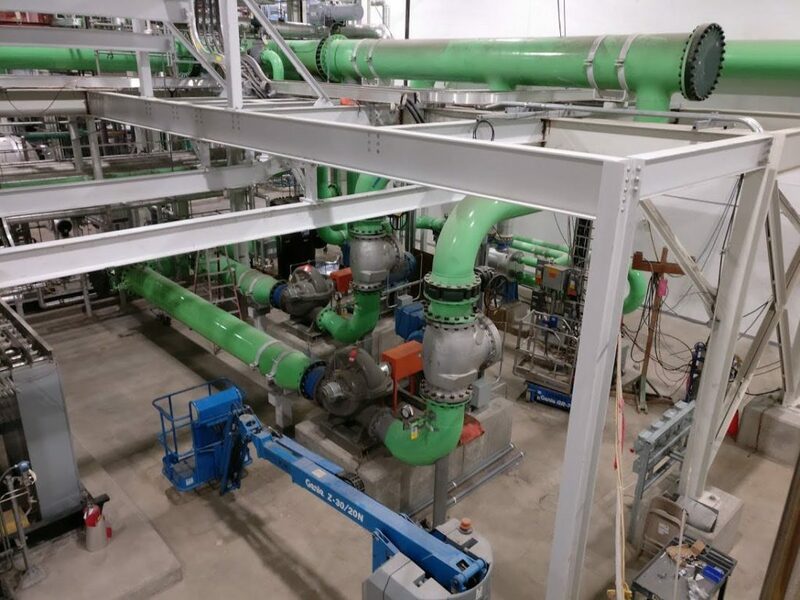 Holland’s snowmelt system is incredibly effective, but with major strides in IoT capability, as well as its accessibility and affordability, the benefits of taking the Holland snowmelt system online are clear. Are we supplying enough heat to melt the snow? Are we wasting energy by putting too much heat into the system? How should we run the system pumps? 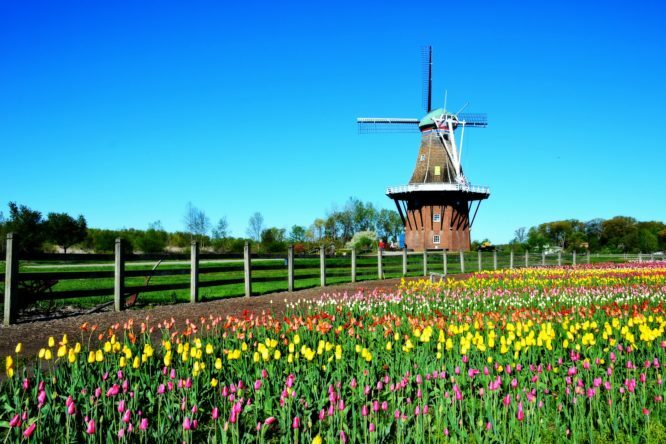 It was clear — Holland needed to be able to monitor performance in real-time and make informed decisions based on that data. The result was a snowmelt monitoring system which is placed on sidewalks and streets across the deployment area. 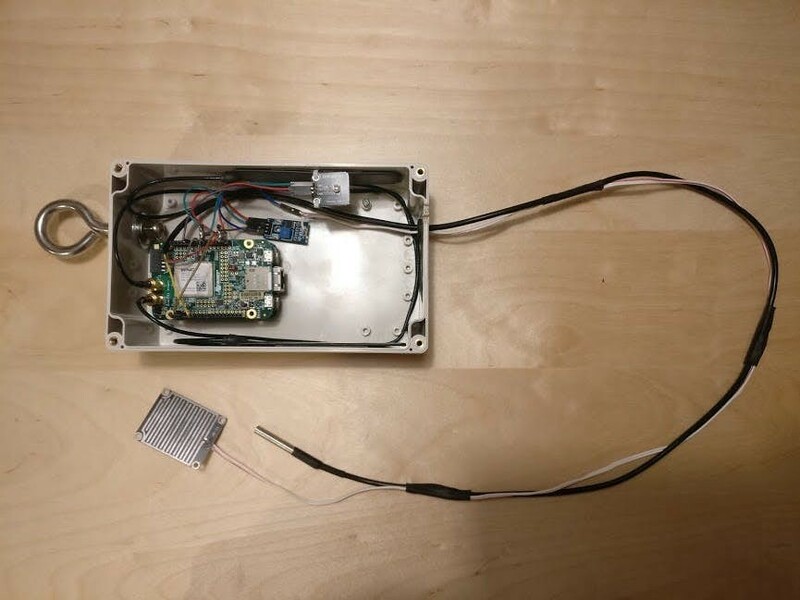 The system is composed of small metal boxes chained to lamp posts or trees (and more recently, in IoT connected bricks embedded directly into the sidewalk) near the area they wanted to measure. The monitor collects the data, and streams its readings in realtime where it can be displayed, analyzed, and processed by snowmelt administrators. PubNub: streams data from sensors to application in realtime, and sending a Tweet for certain conditions. Our local Board of Public Works, who manages the snowmelt system, is very interested in this project. I’ve started working with BPW engineers to move from this proof-of-concept prototype to a version that would be ready for regular use. We are thinking of building the system right into one or two bricks! The project is proceeding nicely to a phase two prototyping process. We have brought mechanical engineers with the power plant into the project to work out further detail as to what the sensor might look like fully installed. 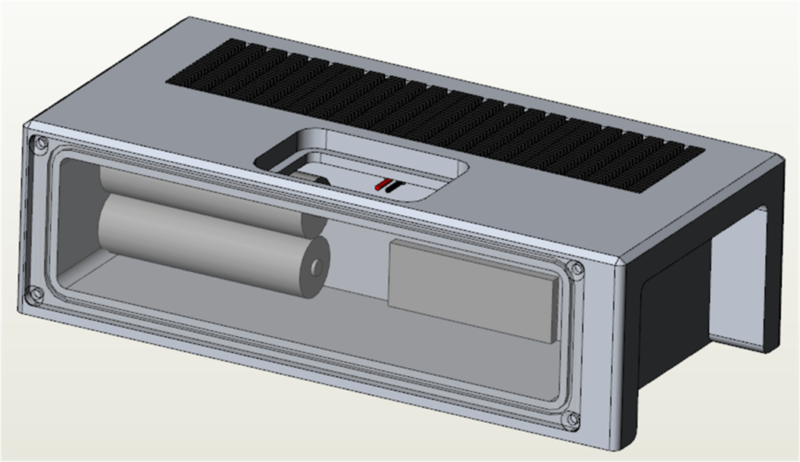 Here’s a mock-up drawing of the sensor, with batteries and thermo-electric power production. Pretty awesome!